Embroidered with phosphorescent thread and fabric, this charming cuddle toy is ideal to comfort baby at bedtime. It features several gripping points adapted to little hands to develop fine motor skills. Size: 20 cm, machine washable at 30°C, presented in a lovely reusable gift box. 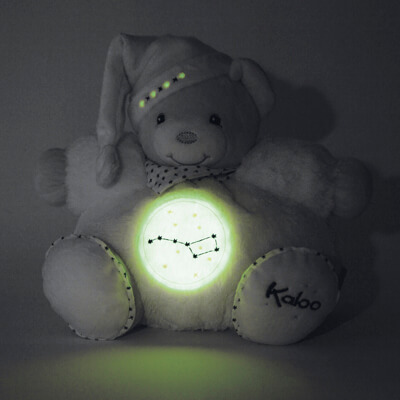 The constellations of the Great Bear and the Little Bear adorn the Kaloo teddies of this new poetic and premium range. 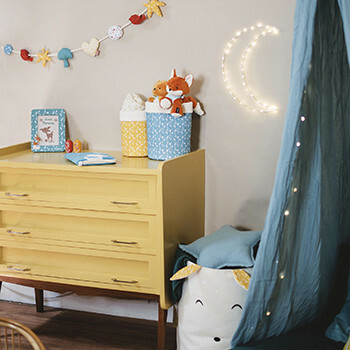 At night, phosphorescent materials and thread help baby to find his or her soft companion again. 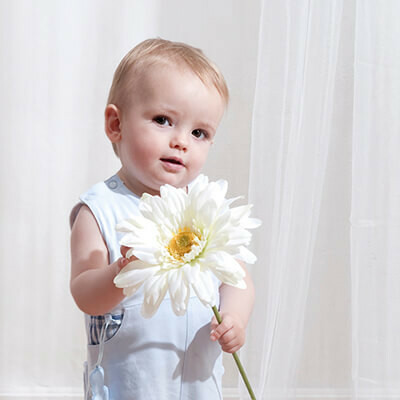 Little stars are delicately embroidered on a range of fluffy fabrics, in keeping with Kaloo expertise. 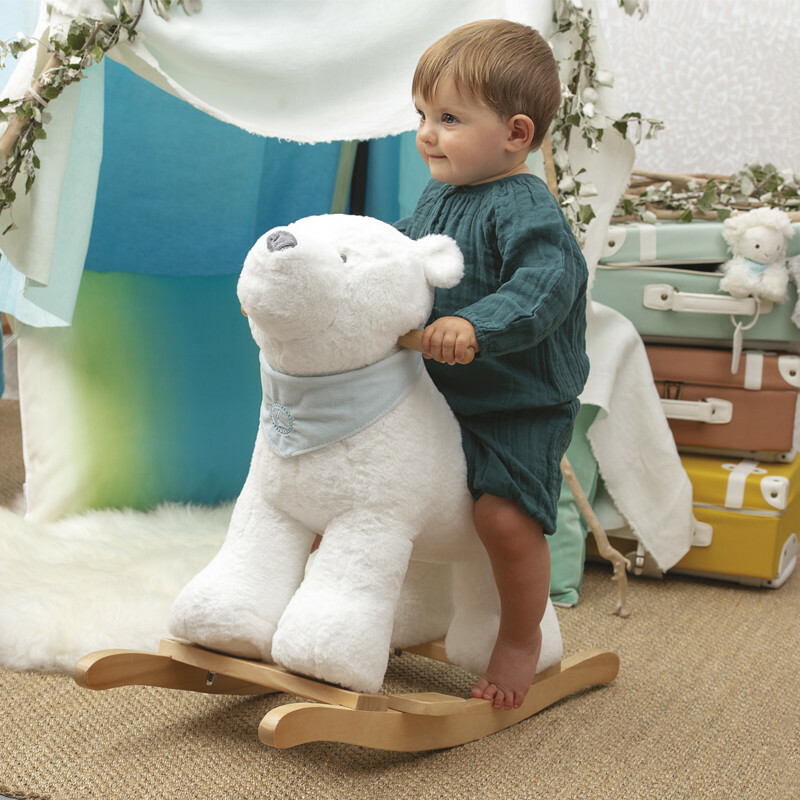 Each teddy bear clad in his nightcap and pretty ribbons offers multiple points to grip, so precious for baby. 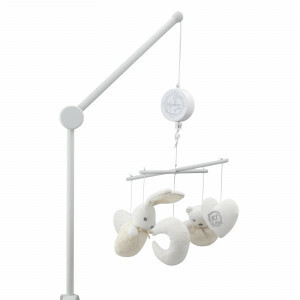 Need a great gift for baby? By subscribing to the newsletter, you accept to receive e-mails from Kaloo concerning our recent news and our current offers. We share your data to Mailchimp, our mailing tool. See how your data is processed. At any time, you may unsubscribe in the lower section of the newsletters sent, as well as in your customer area, if you have one. 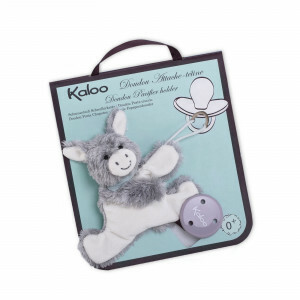 Kaloo, a story of French style passion, love and dreams, offers your little ones a world of sweetness and charm which meets their needs for stimulation and with respect to health and safety.